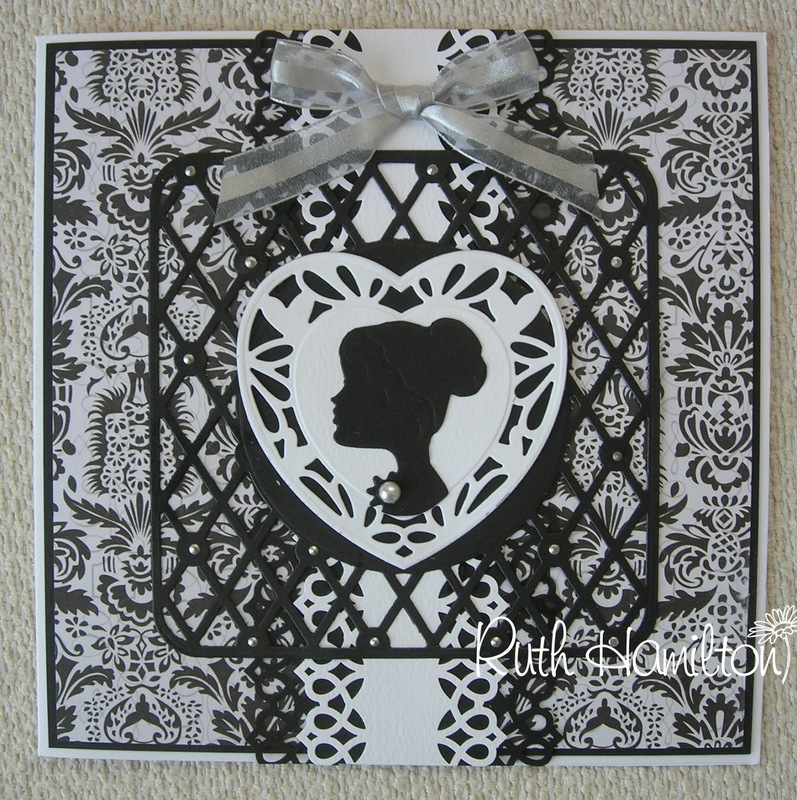 Heart and Cameo card - and a Happy New Year from me! Well, I've hardly seen the light of day since Christmas Day as I'm up to my eyes making samples which you'll hopefully get to see in the next couple of weeks. I have so much stuff out at one time I can hardly see the floor never mind the table! Anyhow, all the new Tonic stuff I'm working with at the moment is really beautiful and a real pleasure to use. As I can't show you any of it yet, I'm sharing another card made for the heart die release earlier this month. It uses quite a mixture of dies and punches but that's what I love about Tonic - the whole collection works so well together. 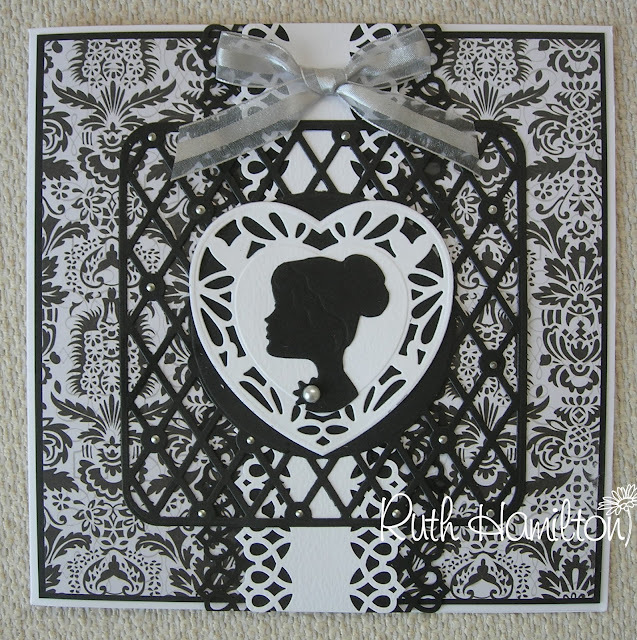 I used the Delicate Lattice border punch for the central strip, the Indulgence Round Window Boudior die with a heart from the Someone Special set and added the head from the Butterfly Princess die in the centre. Now, I have to run off again but not before I wish you a very Happy New Year!